This example shows the import and EM analysis setup with a small section of a large board. Smart net selection, layout clip regions, the new shape simplification tools, and automatically adding EM ports are all demonstrated. Test drive the project. 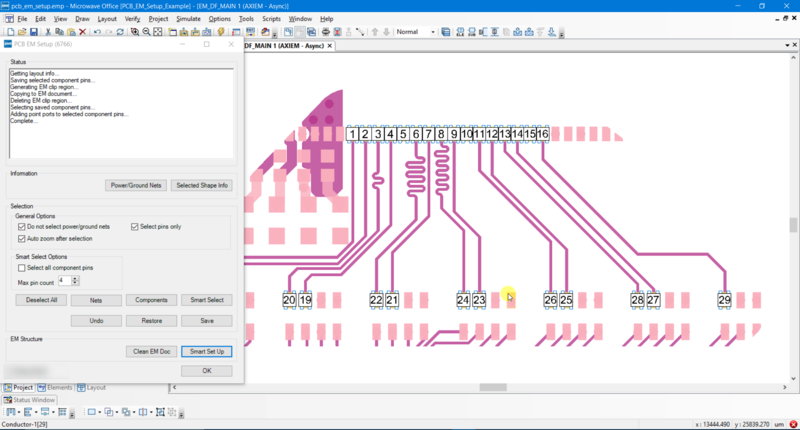 Download the PCB EM Setup Wizard shown in this video.